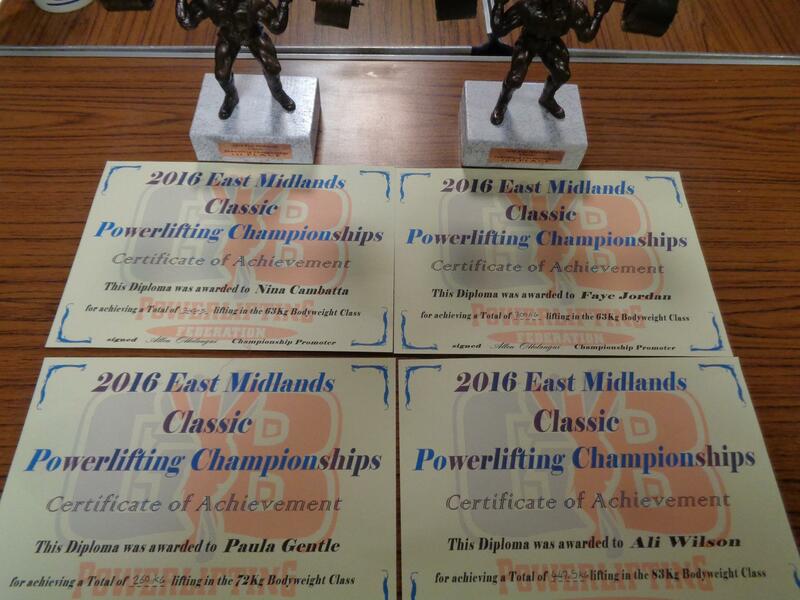 Today was the GBPF East Midlands Classic Powerlifting Championships in Letchworth! Third time I’ve competed in something already this year haha! Had a really fun time, met up with some friends, lifted with a bunch of cool folk, and just generally hung around enjoying myself! There was a lot of first timers at this competition which was great to see, the sport is still drawing in tons of fresh blood! I seem to draw newbies to me naturally, people seem to think I know what the hell I’m on about despite being one of the worst powerlifters out there! Do as I say but not as I do haha! 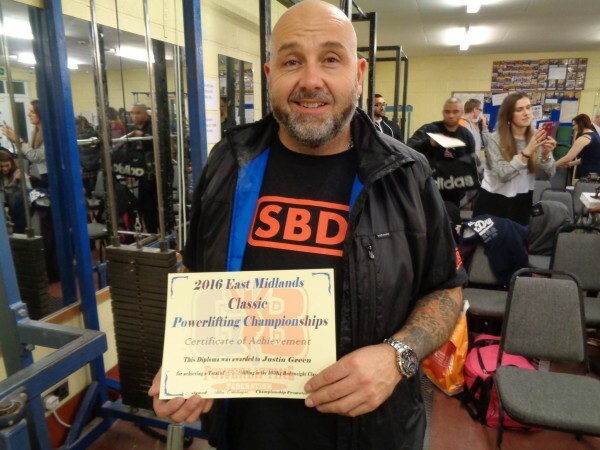 This competition was a bit of a question mark for me… Probably the powerlifting competition I’ve done the least amount of specific preparation for, and it showed! While I generally feel stronger than ever in the gym, I find the powerlifting competition movements beat the stuffing out of my body more than average, so I did less than ever to keep myself healthy as I focus on other things. So I do feel the most healthy I’ve ever felt in my life, but my technical aspects of the competition lifts have gone downhill massively! And I’m not a strong fellow, so neurological aspects and technical management of movements should be paramount for performance. This is something I will look at and examine and reassess in my ongoing journey to wring the utmost out of my body while feeling better for it, not worse! I weighed in at a casual 81.8kg, no drama or fuss or cut or anything like that. I’m lighter these days and eat fully before weigh-ins! However it’s still tradition to have a bag of junk food for after weigh-in, so waiting in that queue impatiently to tuck in afterwards is more about gluttony now than deprivation! I opened on a 140kg squat, it felt easy… and I failed on depth! Haha, what a twit! So I did it again, again it felt easy, and did it properly this time. Then I thought ‘Sod it!’ and went for a 152.5kg PB squat. Felt good, went down, started back up, thought I had got over the hump but ran out of gas on a grindy lift. Never mind, it was close! I’ll get that next time! On bench press I opened on 112.5kg. Warm ups felt easy, so 112.5kg naturally completely screwed up and turned into a nightmare lift that I failed on bum lift technicality. Again, what a twit! I hadn’t set up properly and soiled the bed. So had another go at it on my second lift, actually thought about and it felt lovely and smooth! So third attempt I though ‘Sod it!’ again and went for a 120kg PB bench press. Set up properly, felt ok on descent and pause, got it off my chest but just stalled and couldn’t push through the sticking point, but I didn’t lose my form again pushing hard, so that’s a positive from this! The deadlifts felt great in the warm up room, I opened on 195kg, and this felt like a standard lift, and this time I DIDN’T fail my opener! Go me! However… On lockout I did an incredibly loud fart, which while was massively entertaining for everyone (and slightly worrying for the platform crew haha! ), actually messed with my mind a little! I really didn’t want to poo myself! So I went for 205kg for my next two attempts but just didn’t commit, got it an inch off the floor and then bottled it! Tut tut! So I ended with a 447.5kg total, ok for me I guess considering what a total balls up of the competition I made it, but I need to improve! So now it’s back to the drawing board now I feel healthier in my muscles and joints and see what I can do. And it seems I’m now classed as a Masters 1 (aged 40 years) lifter, so I might even qualify for some stuff one day! But overall despite the fact I’m an idiot I had a wicked day, it was great to catch up with other lifters and meet lots of new ones, the competition was smooth and the bacon rolls were amazing! 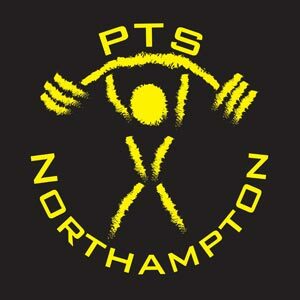 The other PTS lifters did wicked, Nina Cambatta won a battle with the weigh-in and also won her class, Faye Jordan got a 300kg PB total she’s been chasing since forever, P-j Gentle got PBs in her bench press, deadlift and total and Justin Green got PBs in his squat, bench press, deadlift and total! Full house! The goal is still a 500kg total this year in competition. Next powerlifting competition is probably April. Let’s get on it! As seems to be par for the course for me at the moment, despite a rubbish performance it looks like I’ve qualified for both the English and British national championships in the Masters 1 categories! Ummm…. Oh well! Not as rubbish now I’m officially older! Bonus! In the 63kg ladies’ category Nina Cambatta came 1st with a 342.5kg total comprising of a 120kg squat, 67.5kg bench press and a 155kg deadlift, and Faye Jordan came 2nd with a PB 300kg total comprising of a 95kg squat, a 72.5kg PB bench press and a 132.5kg deadlift! Both girls qualified for the British Nationals later this year! In the 72kg ladies’ category Pj Gentle got a PB total of 260kg with a 80kg squat, a PB bench press of 52.5kg and a PB deadlift of 127.5kg and 4th place. In the 105kg men’s category Justin Green got a PB total of 472.5kg with a PB squat of 150kg, a PB bench press of 115kg and a PB deadlift of 207.5kg for 6th place. In the 83kg men’s category Ali Wilson got a total of 447.5kg with a squat of 140kg, a bench press of 112.5kg and a deadlift of 195kg for 7th place. Good work everyone at a great competition! And here is the video of all the lifts from the PTS crew! Enjoy!